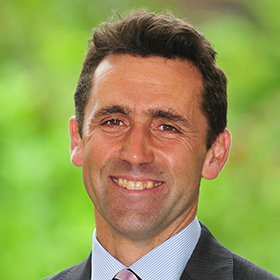 Dr Chris Pyle has been Head of Lancaster Royal Grammar School since 2012. LRGS is a state day and boarding school for boys, including 160 boarders from the UK and abroad. The school is currently in process of transition to a coeducational Sixth Form, and will welcome its first girls in 2019 and in as boarders in 2020. Chris is a geographer by background, Chair of the North West Maths Hub, and was previously Deputy Head at the Perse School, Cambridge.